The sacraments are the very heart of Christianity. They are the manifestation of Christ in the world. In them, Christ truly becomes present to us. They are the visible sign and the real symbol that are the very inward grace they signify. They signify the grace they cause, and cause the grace they signify. God’s grace is present efficaciously. (CCC 1084) They are our gateway to communion with God as well as our lighted guideposts to remain in communion. To stray from them is to risk walking in darkness and death. For, the seven sacraments are imbued with the sanctifying grace of Christ’s eternal act of redemption. In receiving the sacraments, that sanctifying grace of redemption is applied to our soul. It is the supernatural power that God uses to act in our lives. Sanctifying grace is what saves us. In the sacraments, Christ’s redemptive act is transmuted into a symbolic reality and transferred directly to our souls. This is miraculous and amazing. It is also the foundation of orthodoxy. The Church, as the administrator of the sacraments, is the holder and the dispensary of Christ’s miraculous grace. Although the priest acts in persona Christi, we know that it is truly Christ Himself, through the priest, who confers sanctifying grace. (CCC 1088) This sacramental grace allows us to enter into an immediate relationship with the living God. Yet, the application of that redemptive grace varies from sacrament to sacrament. In Baptism, we gain our initial entry into Christ’s salvific action. Our souls are cleansed of Original Sin and incorporated into His death and Resurrection. It is our entrance into eternal life, and makes possible our lifelong communion with God. In the Eucharist, Christ’s redemptive grace actually comes to us in bodily form. The very body and blood of Jesus are made present physically. In consuming Him, we are continually sanctified and remade into His mystical body. He is literally our sustenance to eternal life. In Reconciliation, Christ’s sanctifying grace restores our relationship to God and the Church through the forgiveness of our sins. In our fallen human nature, still beset by frailty, weakness and concupiscence, we regularly regress back into sin. Christ knew our nature, and so, afforded us His sacrament of forgiveness. Repentance becomes linked to life. In the book of Genesis, it says God formed man from the ground and breathed life into him. The Hebrew word used for breath is רוח (ruach), which also means “spirit.” When God breathed into man, He made him a living spirit. We see that same word רוח repeated when the Resurrected Jesus appears to His disciples and He “breathes” (רוח again) on them, and thus, institutes the Sacrament of Reconciliation. Jesus is implicitly, or some might say, explicitly, linking His sacraments and the Holy Spirit with God’s life giving spirit at Creation. Immediately after He breathes on them, He says, “Receive the Holy Spirit,” and any sins you forgive are forgiven, and any you retain are retained. Jesus transfers His divine power, the power to forgive sins, to His Apostles. Now, with the capacity to forgive sins, the Church has another restorative power to heal our spirits. Just as Adam was, originally before the Fall, a living spirit, a pure man in communion with God, so too now, we can be restored as living spirits through our Redeemer. We pass from death into life as new creations. God again breathes into man and reanimates us. Through grace in the sacraments He not only brings us to life, but also, sustains that life with His on-going and unlimited forgiveness found in the Sacrament of Reconciliation. One of the most poignant stories in all of scripture is Jesus’ parable of the prodigal son. It is so poignant and moving because Jesus gives us a glimpse in detail of the immense and unconditional love God has for us. In the parable, a son takes his inheritance early from his father, goes off to a distant land, and spends it all on “dissolute living.” After he had nothing left and was dying from hunger, he finally comes to his senses. He decides to repent of his sins and go back to his father’s house. As the son says, “I will say to him, “Father, I have sinned against heaven and before you.” (Lk.15:18) As the son is penitent and returning to his father’s house, we see the great mercy of the father: “But while he was still far off, his father saw him and was filled with compassion; he ran and put his arms around him and kissed him.” (Lk.15:20) Even as the son was “still far off,” the father hurriedly went out to embrace him. And Jesus shows how great is the mercy of the father, who is superabundantly generous to the son. He says: “But the father said to his slaves, ‘Quickly, bring out a robe—the best one—and put it on him; put a ring on his finger and sandals on his feet. And get the fatted calf and kill it, and let us eat and celebrate; for this son of mine was dead and is alive again; he was lost and is found!’ And they began to celebrate.” (Lk. 15:23-24) Jesus’ parable of the prodigal son is rich in the underlying truths of forgiveness and divine mercy. In the parable, we are the prodigal son, and God is the father. We, through Original Sin and committing sins during our lives, have lived lives unworthy of God, and consequently, squandered our inheritance, that is, eternal life. We were dead in our sins; outside of the Father’s house. Yet, when we recognize our own destitution and repent of our sins, God notices this, even while we are still struggling with sin “far off.” As soon as we repent and turn back to God, the Father embraces us immediately. As the son did, we must admit and confess our sins to Him with heartfelt sincerity. We should confess to God as he did, “Father, I have sinned against heaven and before you.” Then, look at the response of God to our repentance and confession. God immediately welcomes us back into His divine friendship and adorns us with grace. This is represented in clothing the son with his best robe, putting a ring on his finger, and sandals on his feet. God immediately calls for a celebration. He orders the fatted calf to be killed so they can have a great feast. Jesus gives us a revelation. He reveals God’s reaction to our repentance: He is ecstatic. Jesus mentions this in similar parables, on finding the lost coin and finding the lost sheep, that there is so much “joy in heaven,” even over one sinner who repents. (Lk. 15:7) We were dead in our sins, but when we repent, are made “alive again.” The prodigal son parable shows the compassion and forgiveness God offers us. It reveals the superabundant grace God waits to lavish upon us, if we but turn back to Him. But, how do we do this? The most effective, secure and efficacious way is to receive absolution in the Sacrament of Reconciliation. In the sacrament, we know that Jesus is truly present. We know it is an act that embodies our conversion, penance, confession, forgiveness and reconciliation. (CCC 1423-1424) These are Jesus’ requirements to regain eternal life. In Reconciliation, we receive sacramental grace with the absolute assurance of the forgiveness of our sins. In the Gospels, Jesus gives Peter and the Apostles the “keys of the kingdom” and the power to “bind and loose.” Jesus said to them, “I will give you the keys of the kingdom of heaven, and whatever you bind on earth will be bound in heaven, and whatever you loose on earth will be loosed in heaven.” (Mt.16:19) As such, the Church has the authority directly from Christ to forgive sins. It is Christ, under the guise of the priest, there in the confessional who forgives our sins. How much better is life if we maintain that intimate friendship with God by regularly turning away from sin and turning towards God in the Sacrament of Reconciliation? 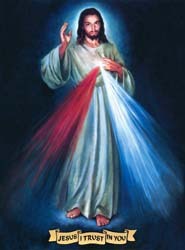 Here, we find divine mercy. We are like the paralytic who Jesus healed, and whose sins He forgave. “He personally addresses every sinner: ‘My son, your sins are forgiven.’” (CCC 1484; Mk.2:5) What a wonderful assurance! This entry was posted in Catechism of the Catholic Church (CCC), Divine Mercy, Reconciliation, sacraments and tagged binding and loosing, breathe, Catechism of the Catholic Church, confession, Conversion, Dives et misericordia, forgiven, forgiveness, keys of the kingdom, mercy, Penance, prodigal son, reconciliation, rich in mercy, ruah, sacraments, sinner, sins on October 9, 2015 by Brian. This entry was posted in Catechism of the Catholic Church (CCC), Common Priesthood, Divine Office, Liturgy of the Hours, Prayer and tagged breviary, canonical hours, Catechism of the Catholic Church, compline, Divine Office, epiclesis, Eucharist, lauds, Liturgy of the Hours, prayer, public prayer, Sacrosanctum Concilium, vespers on October 6, 2015 by Brian. How ought we to live our lives once we find the “pearl of great value?” In Jesus’ parable, the pearl of great value is a metaphor for the kingdom of heaven. What could be of greater value than to live in communion with God in heaven for all eternity? This is the pearl we are in search of. We are the merchants in search of eternal life. It is the central purpose to our existence here on earth: the salvation of our souls and to live in communion with God for all eternity. Truly, nothing else matters. But, where do we find this pearl of great value? Well, Jesus answers this question directly for us. He says, “For, behold, the kingdom of God is among you.” (Lk. 17:21) Other translations have it “the kingdom of God is within you.” To find the kingdom of God, the pearl of great value, we must look inside ourselves, and amongst ourselves. What is the state of our soul? What is the state of our life? Are we examining our consciences each day, and living in communion with the Church and the sacraments? Are we seeking forgiveness for our sins in the sacrament of Reconciliation, and doing deeds of mercy and charity? We attain the salvation of our souls and live out the kingdom of God by being in a state of grace. This is the pearl of great value. It’s finding the goodness of Christ and applying His grace to our souls. And what should our response be when we find this pearl of grace, eternal life? We should conform ourselves in totality to the treasure that we have found. As Jesus says of the merchant, “he went, and sold all that he had and bought it.” Eternal life requires our response. We ought to “sell,” or let go of anything, and all, that prevents, breaks or interrupts our holding the pearl, the kingdom, within our hearts. Finding the pearl of great value implores us to live in a constant state of grace. By living in a state of grace, we can actualize the kingdom of heaven in our lives. This entry was posted in Catechism of the Catholic Church (CCC), Daily Intentions, Morning Offering, Prayer and tagged Catechism of the Catholic Church, consecrate, intentionality, kingdom of heaven, Morning offering, pearl of great value, pray, pray always, pray without ceasing, prayer, sacramental, sanctify on October 1, 2015 by Brian. Writing about theology is often a process of recapitulating in a few minutes or hours what the Church has struggled with and elucidated over two thousand years. This is both a blessing and curse. A blessing, of course, because now in the 21st century, we have the luxury of these neatly and elaborately defined dogmas; and a curse, because it’s not always an easy task sifting through the minutiae of two millennia of history and exegesis. These religious ideas and doctrines we take for granted now have been struggled with, debated, fought over, scandalized, held Councils about, and in the cases of the various heresies, called heretical and anathema, but all the while leading to more refined doctrines and creeds of the Church. Such is the will of God, that we should “love the Lord, your God, with all your heart, with all your soul, and with all your mind.” (Mt. 22:37-38) Jesus instructed us, by adding to the Deuteronomic quote (Dt.6:5), that we should love God with “all your mind.” And hence, the Church, and the doctors of the Church, theologians and saints have studied the Word of God, the Bible, the teachings of the Apostles, the Traditions of the Church, and life of Jesus, parsing every word and deed to understand the true nature of God. This dialectic struggle within the Church over the two thousand years has resulted in 21 major ecumenical Church Councils, in order to resolve the nearly as many major heretical movements within each century. Loving God with all your mind is easy, but precise exegetical, Church-approved analysis has been long, hard, and arduous. In no area has this been more contentious than Christology, or the study of the nature and person of Jesus Christ. The “Hypostatic Union” is the theological term positing the fusion of the divine and the human in the person of Jesus Christ. Hypostasis (ὑπόστασις) is the Greek word referring to the “underlying substance” of something, or “concrete existence” of a person. In Christian theology, it refers to the union of the two natures of Christ in the one divine person. Christ had two natures, one human and one divine; as well as two intellects and wills, or “modes of operation,” one human and one divine. Taken together, the two natures and the two intellects, and wills or operations, they form in perfect union the one divine man, Jesus Christ. It seems so straight-forward to us now. What was so difficult? I jest, yet this simple phrase had a long, struggled history. The struggle began back with the first ecumenical Council at Nicea in 325 AD. This Council was called to deal with a heresy involving a popular priest named Arius. Arius believed that Jesus was not consubstantial with God the Father, but was rather “homo-i-ousios,” or of “like or similar substance and being,” in effect, Jesus was less than the Father. A huge schism was created in the Church between those who believed in homo-i-ousios and those who adhered to “homo-ousios,” or that Jesus and God the Father were “of one substance or being.” As Edward Gibbon had noted the world was divided over “one iota.” Thus, the Council met and then issued the Nicean Creed. This declared Jesus “homo-ousios,” or “consubstantial” with God the Father, the same creed we repeat in mass to this very day. After that, the Christological struggle to define the exact nature of who Jesus is continued on for centuries. In the fifth century, the Patriarch of Constantinople, Nestorius, had felt uncomfortable calling Mary “Theotokos,” (in Greek Θεοτοκος) or “God-bearer,” since he did not think she was the cause of Jesus’ divinity. As such, he ended up devising a doctrine, Nestorianism, that essentially divided Jesus into two persons, one divine (Logos) and one human (son of Mary). This, of course, in response led to the Council of Ephesus in 431 AD. The Council proclaimed Mary is not the cause of Jesus’ divinity since He’s consubstantial with the Father for all eternity. As well, it proclaimed Mary is not the cause of Jesus’ human soul since that is also from God. Yet, the Council reaffirmed the hypostatic union of a divine nature and a human nature in the one divine person of Jesus Christ. Being that Mary bore the divine person, Jesus, and not just His human nature, it is in fact true to call her the bearer of God. A couple of decades later a Byzantine monk, Eutyches, had began advocating that there was really only one nature in Christ; or that His human nature was absorbed by His divine nature. This heresy was termed “Monophysitism,” or that Christ only had a divine nature. In 451 AD, the Church called the Council of Chalcedon to deal with this. The Council declared Jesus had “two natures, without confusion, without change, without division, without separation.” They reaffirmed that Jesus was one person and one hypostasis with two natures, one human and one divine. In the 7th century, the Monothelitism heresy posited that Christ only had one will and one natural operation; eliminating the distinctly human will in Christ, in favor of His divine will. In response to this, the Church called the Third Council of Constantinople in 681 AD. The Council eventually declared, in reiteration of the Chalcedon declaration, that Christ possessed “two natural wills and two natural energies, without division, alteration, separation or confusion.” (III Council of Constantinople) The Hypostatic Union had finally triumphed! Jesus Christ, the God-man, is one divine person, of one substance with the Father, with two natures, human and divine; two wills, human and divine; and two modes of operation, human and divine. Yes, there are two natures and two wills in Christ, yet they always act in harmony together. Jesus was perfectly one with Himself, undivided. He is the perfect model for us to align our human nature and our human will with the divine nature and the divine will. In us, our nature and our will resist the divine nature and the divine will. In Christ, His human nature and His human will were in perfect obedience and submission to the divine. We, because of Original Sin, are divided; He, without sin, is one. The Catechism quotes the Council of Constantinople III in this respect saying: Christ’s human will “does not resist or oppose but rather submits to His divine and almighty will.” (CCC 475) As the Church Fathers teach us, the obedience of Christ atoned for the disobedience of Adam. Only Christ could have done this. Jesus is in a sense properly defined as “theandric.” Theandric taken from the root Greek words, “theos,” (θεός) meaning “god;” and “andros,” (ἀνδρός) meaning “man.” Christ properly understood is both God and man united as one person, or literally, the God-man. In the 7th century St.John of Damascus wrote, “Thus, the theandric operation shows this: when God became man, that is to say, was incarnate, His human operation was divine, that is to say, deified. And it was not excluded from His divine operation, nor was His divine operation excluded from His human operation. On the contrary, each is found in the other.” The divine operation and the human operation are independent and separate, yet they subsist – one in the other – in Jesus Christ. St.Thomas Aquinas in the Middle Ages wrote, “Dionysius* places in Christ a theandric, i.e. a God-manlike or Divino-human, operation not by any confusion of the operations or powers of both natures, but inasmuch as His Divine operation employs the human, and His human operation shares in the power of the Divine.” (Aquinas) Thus, what Aquinas argues is that because of the dual nature of Christ as both human and divine, it appears as though He operates with a single, theandric operation. Yet, what is really happening is the two distinct natures of Christ are operating in perfect communion with each other, so much so as to appear as a single, theandric operation. “Everything that Christ is and does in this nature derives from ‘one of the Trinity.’ The Son of God therefore communicates to His humanity His own personal mode of existence in the Trinity. In His soul as in His body, Christ thus expresses humanly the divine ways of the Trinity.” (CCC 470) The Catechism shows that, although separate, the divine is part of His human nature and the human is part of His divine nature. Christ’s humanity was a deified humanity. As in the healing of the leper, Christ uses the divine operation to heal, but He also uses His humanly operation to touch. In the raising of Lazarus, He uses His divine operation to resurrect, and His human operation to speak it. In these instances, as in all the others in His life, the divine operation is made manifest in perfect harmony with the human operation. And the human operation acts in perfect obedience to the divine operation. In the epistle to the Hebrews, St.Paul calls Christ, “the exact imprint of God’s very being.” (Heb.1:3)** That is, Christ is God made manifest in the flesh. The life of Christ is the human biography of the Trinity. Since the human and divine, though distinct, work in perfect operation together in Christ, His operations are, in effect, theandric. Each of His humanly actions are in conjunction with Godly actions. It can be surmised then that each of His actions is of infinite merit and grace. For the divine is operating within the natural. The Catechism says, “Christ’s whole life is a mystery of redemption.” (CCC517) The smallest of His actions take on divine efficaciousness. There are no small actions in the life of the God-man. Because of this, Aquinas can say, “Consequently, Christ did merit in the first instant of His conception.” Then, all of Christ’s actions throughout His life are of divine worth imbued with supernatural grace. Hence, when Christ reaches the climax of His life with His Passion and Crucifixion, His death takes on infinite value, capable of saving all of humanity from sin, and even death itself. The infinite dignity of God, offended by the sin of man, is now satisfied by the infinite sacrifice of Christ, the God-man. *Dionysius refers to the fifth century monk Gaius, a theologian who operated under the name Pseudo-Dionysius the Areopagite. He was one of the first to refer to Christ’s actions as “theandric.” He said, “by virtue of being God-made-man He accomplished something new in our midst – the activity of the God-man (ie, the theandric activity).” The error in his thought is by proscribing in Christ “one” mode of operation, not two. This entry was posted in Catechism of the Catholic Church (CCC), Christology, Hypostatic Union, Theandric and tagged andros, Aquinas, Arianism, Arius, Catechism, Catechism of the Catholic Church, Chalcedon, Christology, Constantinople, Councils, Dionysius, efficaciousness, Ephesus, Eutyches, Gaius, hypostatic, hypostatic union, incarnation, Monophysitism, Monothelitism, Nestorianism, Redemption, Theandric, theos, Theotokos on September 6, 2015 by Brian.